"Thank you for putting together the Linguisticator Memory Course. 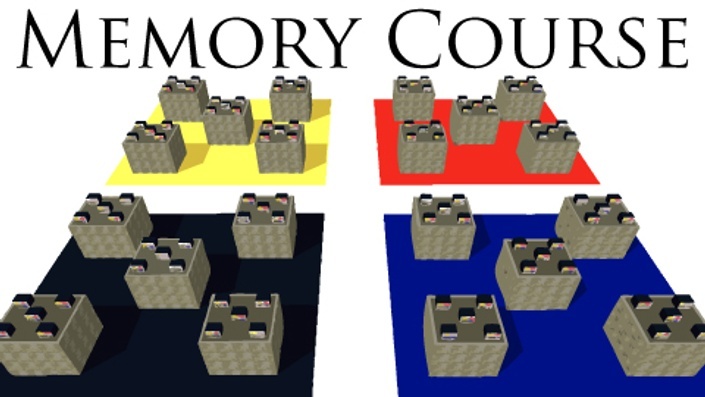 It's probably the best memory course I've seen. Most that I come across are done by people with so much experience that they forget what it was like to be a beginner, and as such aren't good at explaining things well. But your course was really good at that. Also, you probably explained the theory behind certain aspects (ie, separation and differentiation, etc) better than anyone I've seen. It's a great course." If you can make a cup of tea, you can build a memory palace. As people, we tend to be very good at remembering the places we've been and things we've seen, but not so good at remembering text and numbers. Our memory course will teach you how to unlock your existing spatial and visual memory to learn large and complex subjects, like a new language. Making a cup of tea requires us to know the location of several different items: the kitchen, the kettle, the sink, the mugs, the tea, the milk, and so on. Something as simple and effortless as a cup of tea requires knowledge of several specific locations. We do this without any strain whatsoever – so, why is it so difficult to remember grammatical patterns? In this course, we'll teach you how to use space and image to learn huge amounts of new information with full retention and recall. The best part is that you already have what you need to succeed, and the memory techniques are both creative and fun. They will make the complexities of various subjects –such as language and grammar – both accessible and enjoyable. The Linguisticator Memory Course is a comprehensive program in memory techniques and their application to complex subjects, including languages. This course explores everything from the basics of what a mnemonic is, to how to create 3-dimensional structures capable of holding 10,000 pieces of information. Going far beyond just using mnemonics to boost your vocabulary, this course will teach you how to use spatial memory systems to learn the complex material of a language's structure in a way that is simple, easy to use, and downright fun. This course is designed to work in conjunction with our language programs and memory modules. The techniques and principles can be applied to any subject or discipline. The truth is that we as human beings have incredible spatial and visual memories. We can recall thousands of details about our homes and neighborhoods, remember places we haven't visited in 20 years or more, and even find our way to the bathroom and back to bed in the pitch dark in the middle of the night. We often ignore these incredible feats of memory, bemoaning the fact that we struggle with remembering textual and numerical information. This course will teach you how to use your natural and innate powers of spatial and visual memory to conquer and use an entire language to develop a fluency rapidly that is also 100% accurate. In the 12th century, the medieval scribe Hugh of St. Victor wrote a treatise on how to memorize all 150 Psalms in sequence and by line number. Almost a millenium later, his instructions still work. The concept of a memory palace is very old, going back to ancient times. The processes of building and using memory palaces were highly developed during the Middle Ages in the monasteries of Europe. This is where we took our inspiration. At Linguisticator, we've taken the same principles and techniques and adapted them to learning languages (and other subjects). Most mnemonic systems are built for storing either individual words or lists of information; our techniques go further and will enable you to learn the complex information in the structure of a language, where all parts and pieces are interconnected. I have a bad memory — will this course work for me? We get this question a lot and have yet to meet anyone for whom these techniques have failed to work. If you can remember where your bedroom is within your house, you have the memory necessary to use the systems set out in this course.